These Are Some Sweet Puns! You may be familiar with the board game Schmovie, hashtag games on Twitter, or the Hashtag Wars segment that used to run on @midnight on Comedy Central. 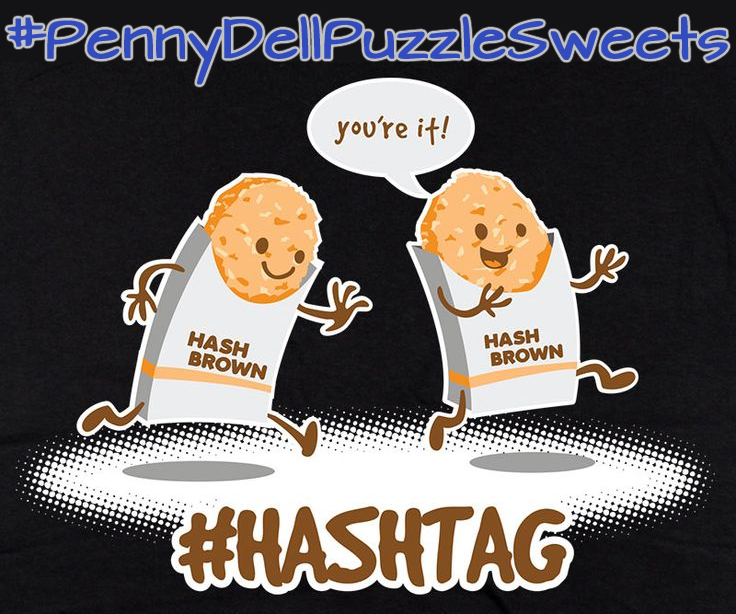 For years now, we’ve been collaborating on puzzle-themed hashtag games with our pals at Penny Dell Puzzles, and this month’s hook was #PennyDellPuzzleSweets, mashing up Penny Dell puzzles with all sorts of sweets, candy, desserts, and anything else that satisfies your puzzly sweet tooth! Examples include: Four Candy Corn-ers, Twix and Mingle, and Ice Cream Dell Sundae Crosswords. Have you come up with any Penny Dell Puzzle Sweets entries of your own? Let us know! We’d love to see them!